Following a dominant display on Monday evening, 17-time Grand Slam champion Roger Federer will now meet Andy Murray in a quarter-final berth in Melbourne – a rematch of last year’s semi-final at the event. This marks the 21st time the two will meet on the professional tour, with the Federer vs Murray Head to Head standing at 9-11. It is also the first time they meet since Murray toppled the Swiss in a five sets at Melbourne Park last year. World No. 4 Andy Murray reached his fifth straight Australian Open quarter-final, when he defeated France’s Stephane Robert in four sets on Monday evening. Murray needed 8 aces and 48 winners to close out the match 6-1, 6-2, 6-7(6), 6-2 in two hours and 42 minutes. While it was a mostly dominant performance from the Brit, he did hit 47 unforced errors and failed to close out the match in the third set. With lucky loser Roberts pushing the two-time Grand Slam champion to a tiebreak, Murray failed to capitalize on two match points, eventually being forced to play out a fourth set. Murray is a three-time finalist in Melbourne, having lost to Federer in his first final and Djokovic on two occasions afterwards. Prior to the start of the tournament, Murray had candidly explained that, coming off of back surgery and a four month lay-off, he did not have any expectations on himself during this tournament and would be satisfied with any result. While he is excited to be playing Federer in the quarter-final, he does not consider this a sign that he is destined to reach the final once again. World No. 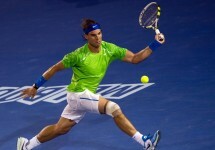 6, Roger Federer, silenced many of his doubters on Monday evening, when he dispatched of France’s No. 2 Jo-Wilfried Tsonga in straight sets to reach the quarter-final stage of the tournament. Federer his 41 winners to just 21 unforced errors in his fantastic win over Tsonga, a sign that he is adjusting to his new 98″ racquet as the matches continue. 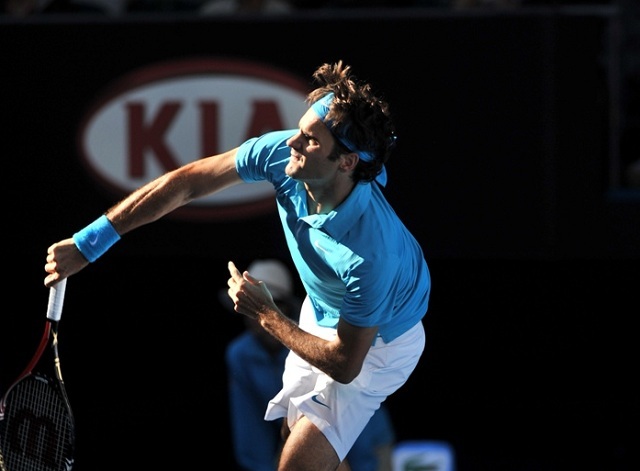 He also won 34 of 41 net approaches, emphasizing the impact of new coach Stefan Edberg on his game. When asked to comment on his highly anticipated clash on Wednesday, Federer admit to being excited for the contest and looks forward to replicating the excitement of their previous clash in Melbourne. 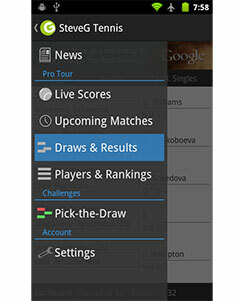 “I think we’re both coming into this match with a good feeling. We’re both coming into this match, though, with some doubts slightly. I don’t know how he’s feeling. I haven’t seen him play much, to be quite honest. Federer and Murray have met 20 times on the professional tour, leaving a head-to-head record of 11-9, in favour of Murray. The Brit won their most recent encounter at the Australian Open semi-finals last year and also won three of the last four meetings dating back to the 2012 London Olympics. Murray new-found aggression after signing on with coach Ivan Lendl certainly added to his ability to defeat the Swiss on more occasions and he will need to find a similar approach on Wednesday, particularly if Federer has begun to approach the net on more occasions. Both players will come into this quarter-final with doubts circulating them but only one will manage to curb their doubts and advance to the final four in Melbourne.